If you’re hurting then reach out. Call a friend, doctor or helpline. 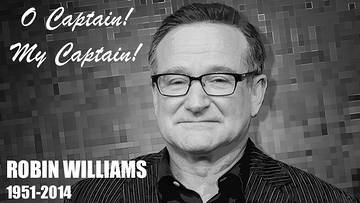 Robin Williams, sufferer of bipolar disorder, 1951-2014. This entry was posted in Suicide and tagged Robin Williams, Suicide. Bookmark the permalink.